It was a dominant heads-up performance from Sinclair, limiting his opponent to two small doubles - for just 12 and 22 big blinds - but each time Sinclair came roaring back to have Bujtas on the ropes. "It's like being in a dream at the moment," said Sinclair after taking down the tournament. "The whole week has been absolutely insane; just super smooth and not like any other tournament I've ever played. I never really lost a big pot as far as I can remember and just got all the hands when I needed them. "Every time I felt like things were getting precarious I instantly won a big pot. I'm very happy with how I played and even more happy with how I ran!" 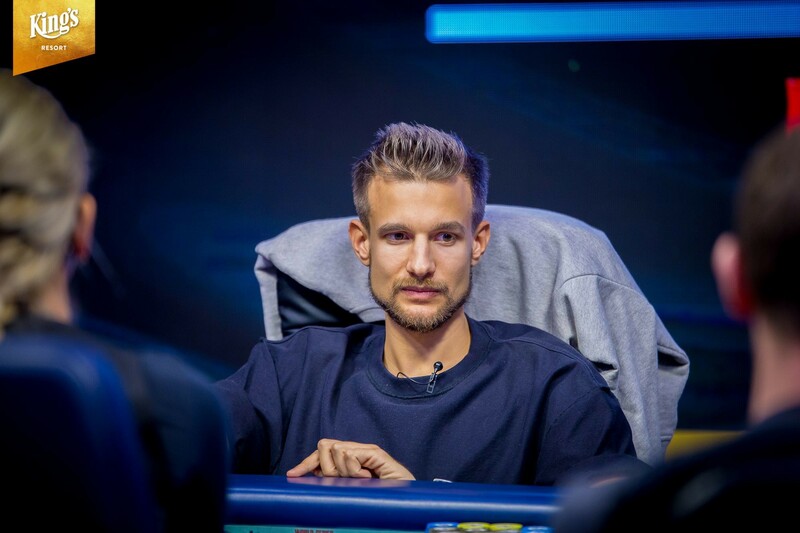 "I thought about [the 2017 WSOP final table] once at the final table when I had jack-four off-suit against Laszlo. That was a somewhat important hand at the WSOP last year and I got the bluff through this time, which was good. "But apart from that, I wasn't thinking about it. It was a completely different tournament. Vegas was huge for me but it's in the past now and I don't think about it now. Vegas was my first ever time playing a $10k and the first time in Vegas in general. The whole thing has been so surreal from the start of my poker career until now. "I'm not used to it really but...I don't wanna get used to it!" "I haven't come to terms with it yet. It's just ridiculous but I'm kind of getting used to these ridiculous things happening." 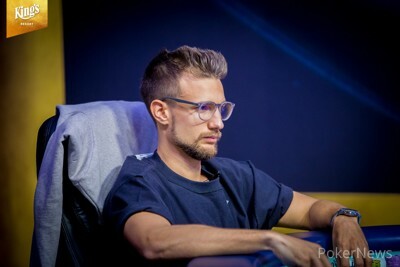 "I'm sad at the moment," he told PokerNews. "Going into heads-up confident but card dead. My opponent played well so congratulations to him. Of course, I'm not 100% happy at the moment but...it happens." "He helped a lot," said Bujtas, "He's been watching the stream telling me the hands some of the time. He helped me with how to adapt to the opponents and it helped a lot." 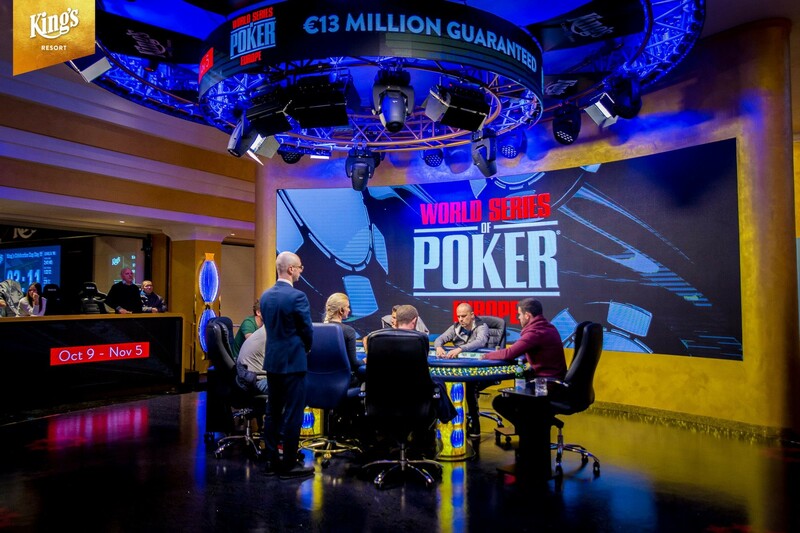 Play got underway with six players left, all guaranteed at least €175,965, and with an average of 55 big blinds, it seemed like a long day's play was in store. 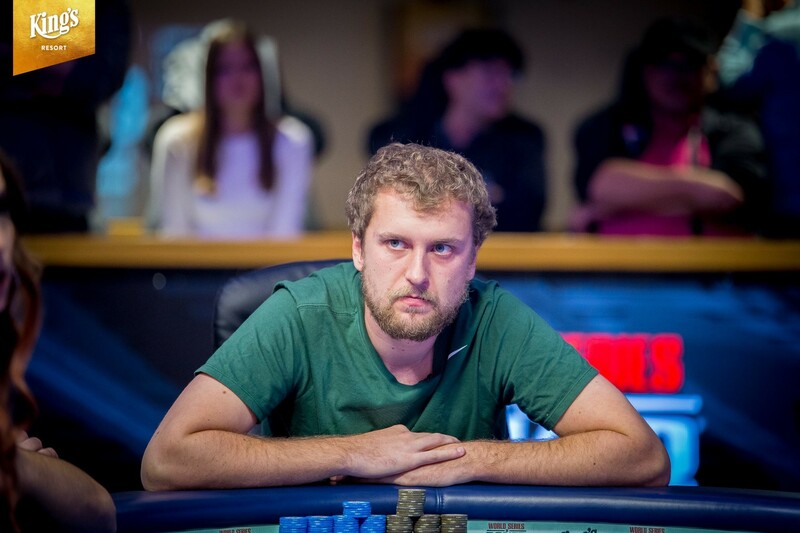 The short stack coming into the day was 34-year-old Ihor Yerofieiev, who didn't have to wait long to pick his spot. In fact, he shoved three times in a row to take down the blinds and antes and chip up by over one million in chips. This put Skrbic in the chip lead but that was about as good as it got for the Serbian. 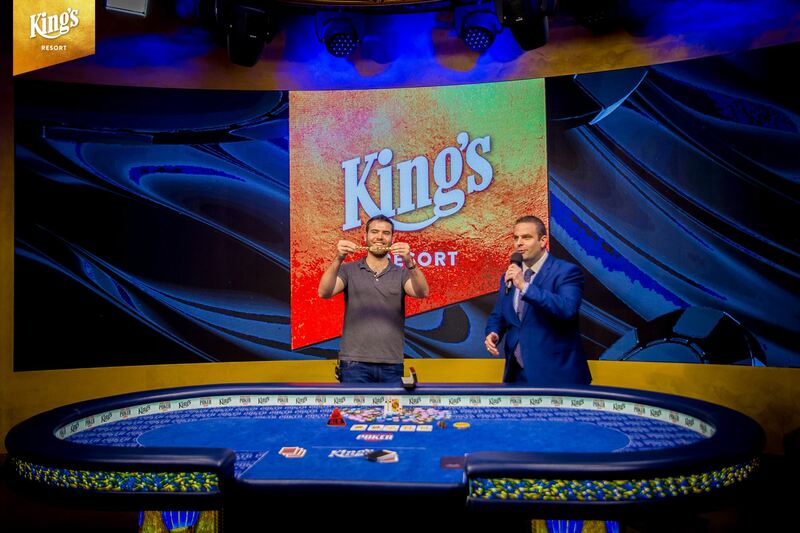 First, Yankov's shove with king-ten bested Skrbic's ace-jack after a king hit the flop. Then in the very next hand, Jack Sinclair opened pocket aces from the button and Skrbic three-bet with queens from the small blind. Sinclair four-bet all in and was called by Skrbic. Aces held to send Skrbic tumbling down the leaderboard. "I think I made a good decision to go all in there instead of calling," Sinclair told PokerNews. "I think calling would be a common play in that spot. But obviously, the luck was clearly on my side. I had to play pretty tight at the start of the day which I think is the correct strategy in that scenario." 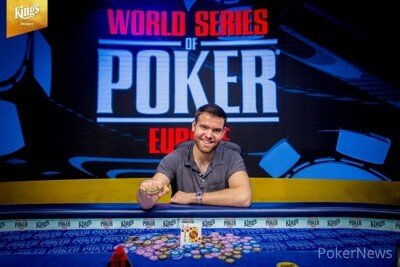 "I'm kind of bummed that I didn't go deeper or win," Riess told PokerNews shortly after his elimination. "But I don't think I made as many mistakes today like I made yesterday, so I'm happy about that. "I just didn't get good cards. There's not much I could have done [...] maybe fold the last hand because it's against him. I don't know, I'll have to think about it." "It's good for me if everyone else is getting it in all the time. It means people are busting and we're laddering, and making more money. I just wish it was me getting the good cards and the action. Maybe next time." Bringing up the rear was Yankov, but he was not exactly a short stack with in excess of 40 big blinds. But in poker, there are always hands that see two players get it in, and that's exactly what happened. 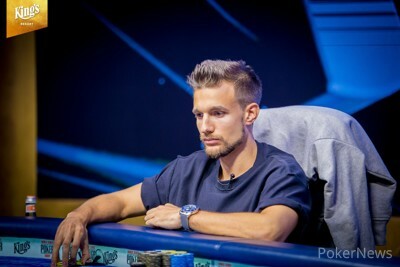 After both Yankov and Sinclair flopped sets, the Brit check-raised on both flop and turn, with the turn bet enough to put the Bulgarian all in, and he called with a second-best hand that sent him to the rail. 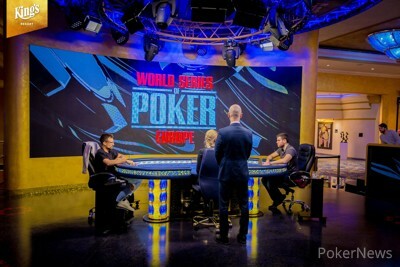 Despite this cooler, Yankov said that he still felt "very good" about his performance in the WSOP Europe Main Event. "You know that every time you cash at a final table and you're not first, you're very disappointed," he said. "But for my first WSOP final table, because it's very good. It's not easy to win when you get to the final table. I'm very happy." "[My double] was the main aim for me today, because I could bust in sixth or fifth and there is a very big difference [between the payouts]. I can't really be disappointed, because I got lucky in other spots and I lost in the final spot. That's the game!" "I would rather have played heads-up against Krasimir [Yankov] than Laszlo [Bujtas]," said Sinclair. "But obviously I'm not complaining! Having level stacks heads-up was really important. But losing a pretty big pot at the start of heads-up gave him a lot of momentum and I had to sort of comeback from a deficit anyway. "I think I played heads-up well. After I lost the big pot at the start, I knew that I was going to have to go for it and not hold back at all." "I think that was one of the key pots. I wouldn't do that against most people heads-up," said Sinclair. "but I just had decided by this point that I had to go for it and take all the spots that I had." "It certainly felt like [I was in control]; I don't know what he had most of the time. We were both bluffing a lot, but every time he bluffed I had a good bluff catcher so it sort of seemed like I was running him over, but it's entirely possible that it would have been the other way around if we had the opposite cards. 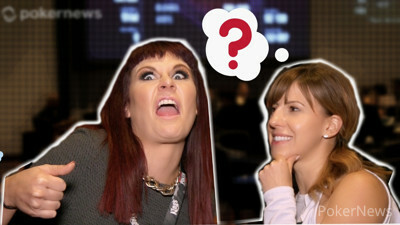 This wraps up the [b]PokerNews[/b] coverage of one of the most successful WSOPE festivals in history. Congratulations to Jack Sinclair and all the winners from the events over the past three weeks. 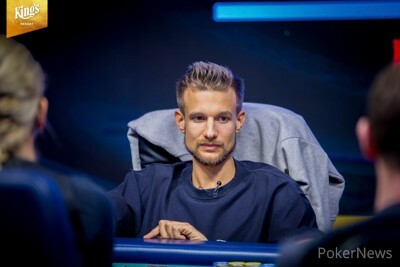 In the first hand after the break, Laszlo Bujtas moved all in for his last 3,200,000. Jack Sinclair looked down at his cards in the big blind and quickly made the call to put Bujtas at risk for his tournament life. Sinclair finally held the best hand in an all-in situation but Bujtas did have two live cards. That is until the flop of hit the felt giving Sinclair a pair of queens. The turn brought the and Bujtas was already drawing dead to the on the river. 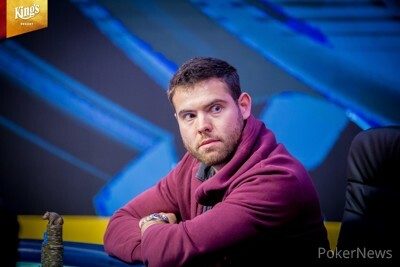 The two players shook hands and it was Bujtas heading to the rail in second place for €693,573. Another level has come to an end and the players are taking a 15-minute break. 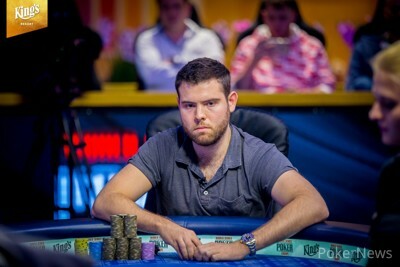 When they return, Laszlo Bujtas will be down to just eight big blinds. Jack Sinclair limped in on the button with and Laszlo Bujtas checked his option with . The flop came and both players checked to the on the turn. Bujtas led out for 300,000 and Sinclair called. The on the river gave both players a straight and Bujtas led out for 500,000. Sinclair raised to 1,500,000 and Bujtas paid him off. Sinclair tabled the larger straight and raked in another pot. 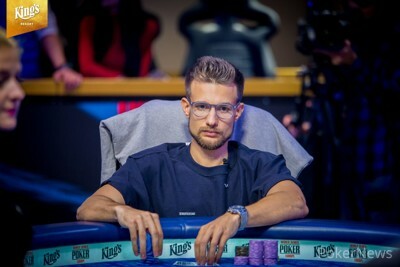 Laszlo Bujtas limped in on the button with and Jack Sinclair raised to 1,200,000 with . Bujtas called and the flop came . Both players checked and the hit the turn. Sinclair checked to Bujtas again who bet 800,000 and Sinclair called. The completed the board and Sinclair checked again. Bujtas bet 2,7000,000 and Sinclair snapped him off with the best hand. Laszlo Bujtas limped on the button with and Jack Sinclair moved all in from the big blind with . Bujtas snap-called for his last 6,800,000 and was in a dominating position. The flop fell which was no help to Sinclair who was looking for a five. The on the turn provided some chop outs but the on the river secured the double up for Bujtas. Jack Sinclair raised to 600,000 on the button with and Laszlo Bujtas defended with in the big blind. 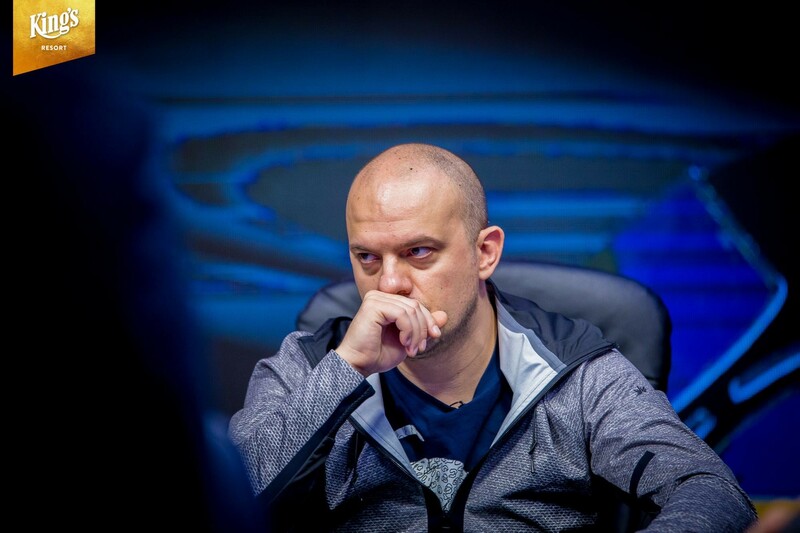 Both players flopped a straight draw on the flop and Bujtas began with a check. Sinclair continued for 1,000,000 and Bujtas called. The on the turn gave Sinclair the best hand and Laszlo checked again. Sinclair tossed in another bet of 1,200,000 and Laszlo threw his cards to the muck. The pair checked a flop and the turn was the . Bujtas bet 500,000 and Sinclair called. The river was the and Bujtas bet 1,500,000. Sinclair folded allowing his opponent to take down the pot. 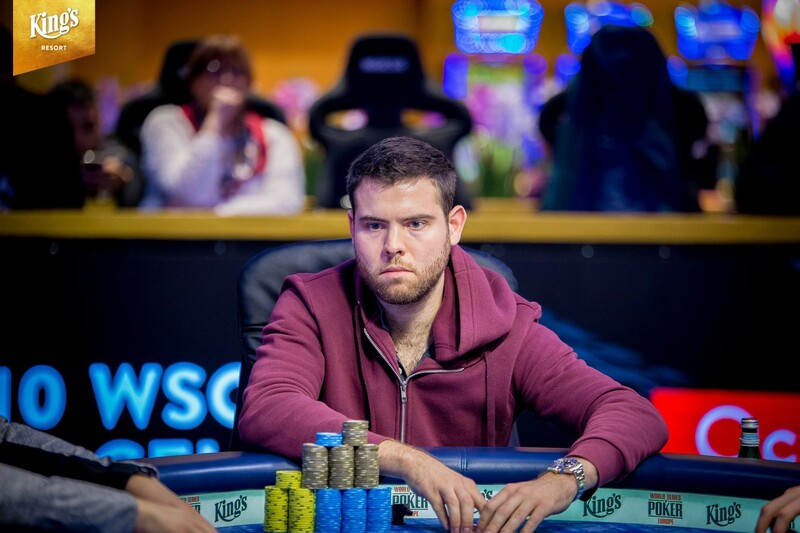 Jack Sinclair raised to 600,000 with and Laszlo Bujtas defended his big blind with . On a flop Bujtas checked and Sinclair bet 300,000. Bujtas check-raised to 1,000,000 and Sinclair folded. Bujtas raised to 600,000 with and Sinclair called with . The flop came and Sinclair checked. Bujtas bet 500,000 and Sinclair check-raised to 1,500,000. Bujtas folded. In a limp pot Sinclair bet 300,000 with on an flop. Bujtas called with . The turn was the and Bujtas checked. Sinclair bet 1,700,000 and Bujtas folded. Laszlo Bujtas was down to just 12 big blind and moved all in on the button for 3,675,000. Jack Sinclair asked for a count and thought about it for a minute before eventually making the call to put Bujtas at risk. Sinclair held two live cards as he was looking to bring an end to the tournament. The flop of was no help to Sinclair and the on the turn was crucial. Bujtas made a pair of aces to leave Sinclair drawing dead to the on the river. Jack Sinclair limped in on the button with and Laszlo Bujtas checked his option with . The flop came and Bujtas check-called a bet of 300,000 from Sinclair. The on the turn brought another check from Bujtas. Sinclair fired in another bet after picking up a straight draw and Bujtas folded his flush draw. Laszlo Bujtas opened to 600,000 on the button with and Jack Sinclair re-raised to 2,200,000 with . Bujtas called and saw a flop of with a dominated hand. Sinclair continued for 1,600,000 and Bujtas sent his cards to the muck. Sinclair scooped another three-bet pot and increased his lead substantially. The flop came and Bujtas checked. Sinclair bet 450,000 and Bujtas check-raised to 1,750,000. Sinclair called and the turn was the . Bujtas bet 3,200,000 and Sinclair called. The river was the . Bujtas was first to act and he spent about a minute thinking before betting 8,300,000. Sinclair called and won a sizeable pot to take a commanding chip lead in this heads-up match. Jack Sinclair opened to 500,000 on the button with and Laszlo Bujtas three-bet to 2,000,000 in the big blind with . Sinclair took a stand with a four-bet to 5,000,000 and Bujtas called. The flop fell and Bujtas checked to Sinclair who bet 2,500,000 rather quickly. Bujtas sent his cards to the muck and Sinclair has nearly leveled the heads-up battle. Jack Sinclair raised to 500,000 on the button with and Laszlo Bujtas defended with . The flop fell and both players checked to the on the turn. Bujtas checked again and Sinclair tossed in a bet of 450,000. Bujtas called with a smaller pair and the paired the top card on the river. Bujtas checked for the third time and Sinclair bet 750,000. Bujtas paid him off and Sinclair is bringing the match closer to even again. Laszlo Bujtas raised to 500,000 on the button with and Jack Sinclair three-bet to 2,400,000 in the big blind with . Bujtas called and the flop came . Sinclair flopped trip sevens and led out for 1,700,000. Bujtas quickly let his hand go and Sinclair dragged in the pot. Laszlo Bujtas raised to 500,000 on the button with and Jack Sinclair called in the big blind holding . The flop came and Sinclair checked to Bujtas who continued for 430,000. Sinclair check-raised to 1,300,000 and Bujtas called. The landed on the turn and Sinclair checked again. Bujtas made a straight and fired in a bet of 2,575,000. Sinclair called and the paired the board on the river. Sinclair checked again and Bujtas counted out a bet of 6,000,000. Sinclair tossed in a single chip to signify a call and Bujtas raked in a massive pot to start off heads-up play. The players are back in their seats and the action is underway with 30 minutes remaining in level 31.